Nothing beats the excitement of getting a long weekend due to the public holiday. But you know what’s more exciting than a long weekend? Extending it or taking a day of leave to create a bonus long weekend. In 2019, two of them will fall on Friday, namely Good Friday (19 April) and National Day (9 August). Vesak Day (19 May), Hari Raya Haji (11 Aug) and Deepavali (27 October) will occur on Sunday, which makes Monday a holiday. You might have noticed that National Day and Hari Raya Haji will happen back-to-back, thus making the period between 9 to 11 August a super long weekend. But are you satisfied with just four naturally-occurring long weekends? Nope, you shouldn’t. 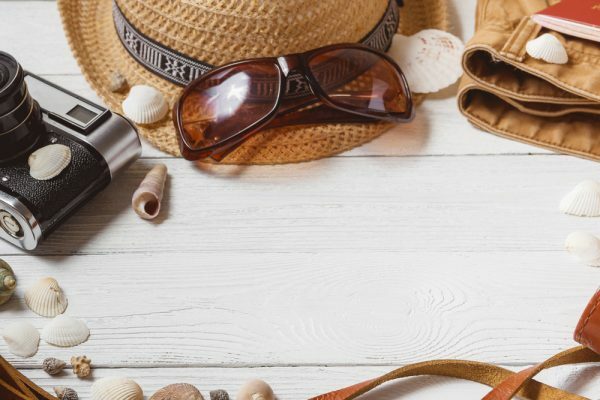 With GoBear’s long weekend holiday guide, you can go a step further and use ALL your annual leave to create more long weekends. Heck, you can even bump the long weekends into a SUPER long weekend, such as the amazing Christmas break of 2019! Your leave is approved. Surely, you’re not going to stay at home and twiddle your thumbs during your long weekend. If you need some suggestions for your next travel destination, might we interest you in one of the top destinations? Yup, Taipei beckons, with all the good food and amazing places to shop till you drop! Oh, and one more thing – you don’t have to pay a ridiculous amount to fly to Taipei. In fact, we’ve got you covered with these affordable flight deals from Skyscanner! This could happen. We’ve heard of people who have only 12 days of annual leave. Or for that matter, some companies might give less leave days, given that the Ministry of Manpower stipulates that your minimum leave entitlement is seven days. Extend your long weekend to the start of the week instead of starting on a Friday. Flight tickets are generally cheaper when you fly during the beginning of the week. If you really need to store power for your annual leave, don’t take a 1-day leave for the eve of public holidays such as Chinese New Year. Companies usually give a half-day off or early release for the eve of these public holidays. The only exception is the eve of Christmas and New Year, which you should take to make that super long weekend happen. Taking 5 days of leave for 12 days out of the office is definitely worth it. If you have so many long weekends planned out, does it make sense to travel on each and every long weekend? The simple answer would be yes. The only concern you might have is how much you can afford to spend on the holiday. So here’s a tip – instead of buying individual travel insurance plans, get an annual travel insurance plan. The cost savings you get can be used to fund for more trips.